Get ready for the biggest, the loudest, the craziest party ever! 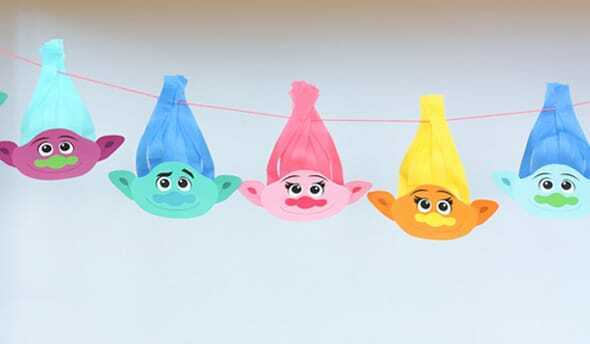 Happy Trolls Party Time!!!! 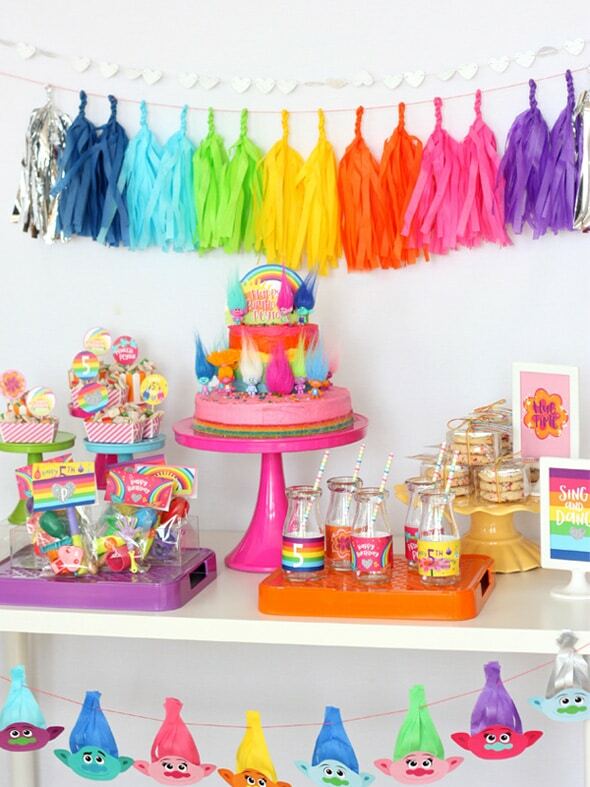 There is so much fun when creating a Magical Trolls Birthday Party! 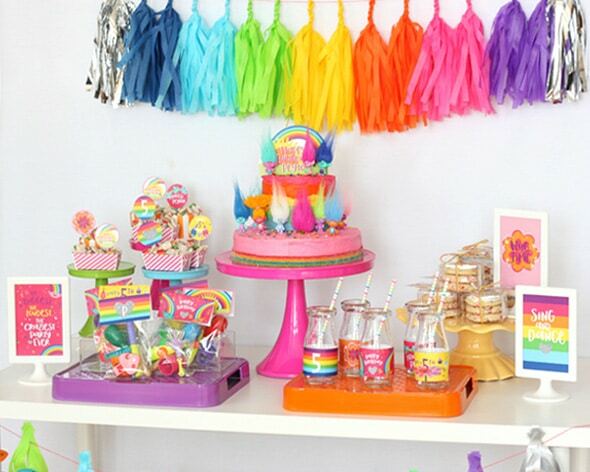 This party, created by Wants and Wishes Design, is filled with cupcakes & rainbows for all of you Troll lovers out there! 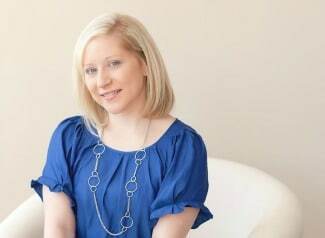 This party is really easy to pull together, and such a blast! 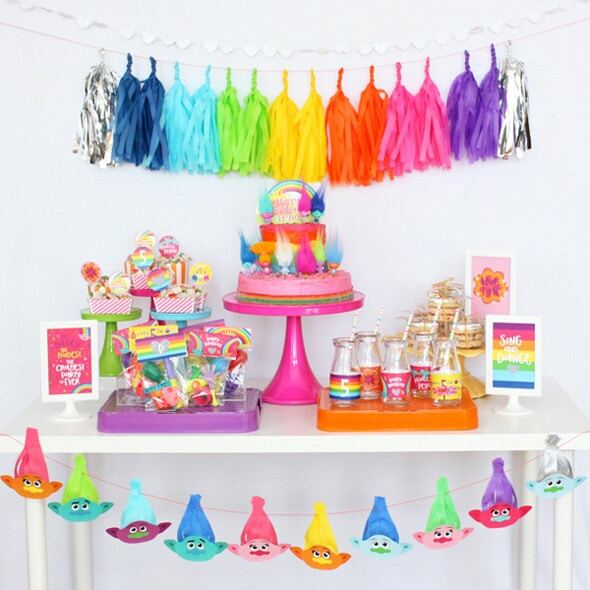 For the decorations Wants and Wishes Design kept it simple with a bright rainbow tissue tassel available in the shop here along with a Trolls funky hair banner (which is part of the Trolls printable collection). 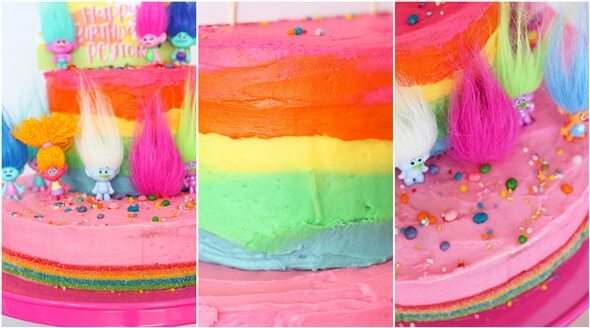 Just look at that fun rainbow cake! 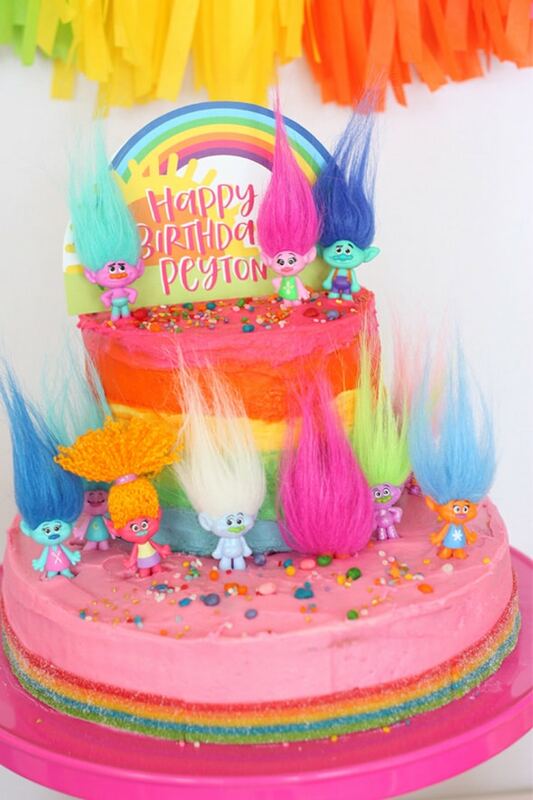 Topped with some Trolls figures, a Trolls printable cake topper and sprinkles, it is the most fun birthday cake of all time! 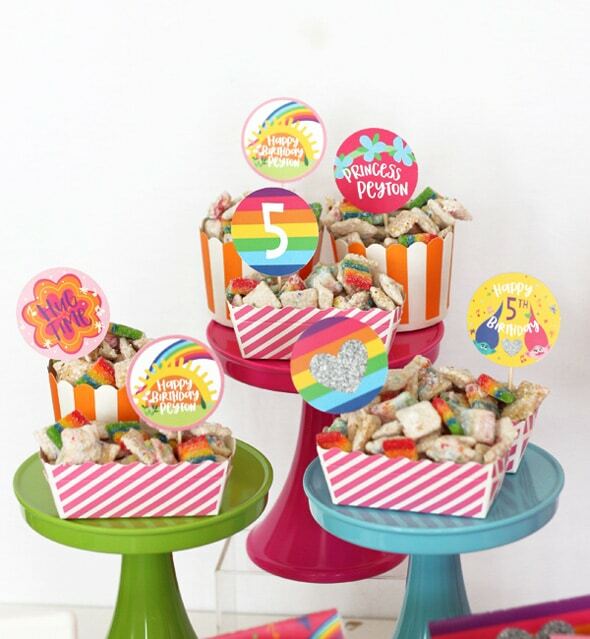 For the party favors Wants and Wishes Design wanted something that wasn’t candy (because there is a thing as too much candy! 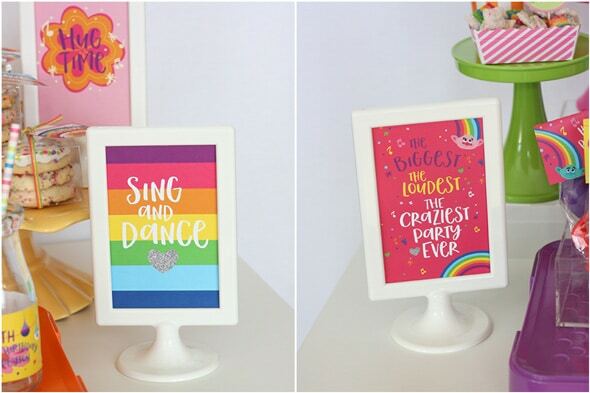 ), so they created different kinds of noise makers for the kids to create the biggest, the loudest, the craziest party ever! The kids had so much fun singing and dancing and making some music! Check out the Rainbow puppy chow! This looks so good! 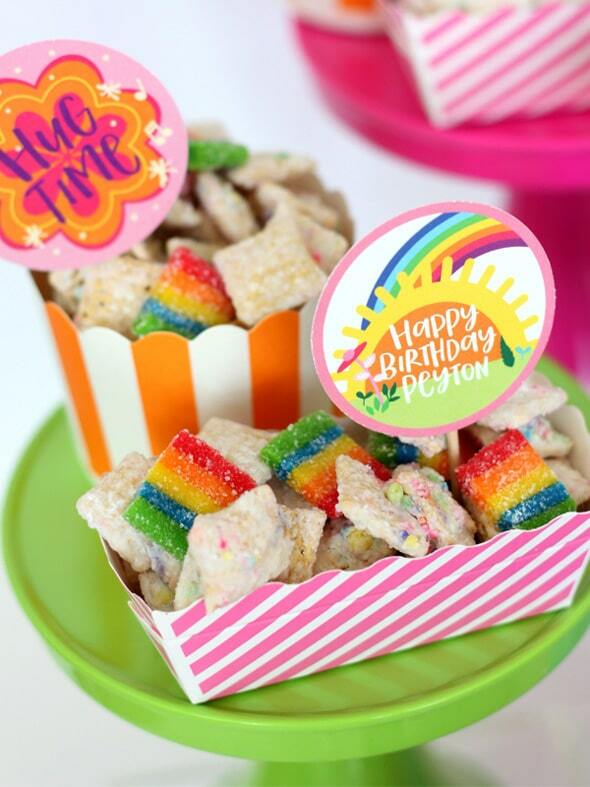 Get the recipe for Rainbow Puppy Chow here! 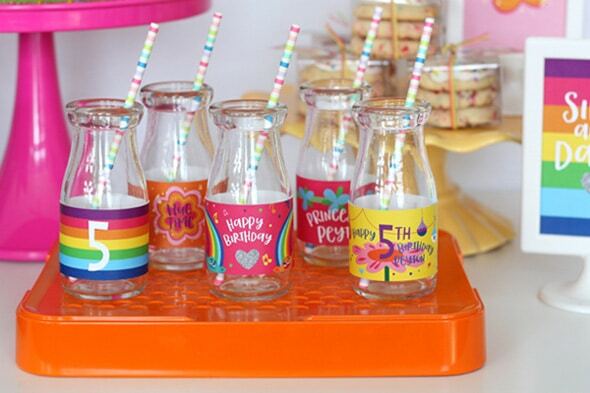 The puppy chow was put into mini baking cups, along with a printable cupcake topper. So cute! 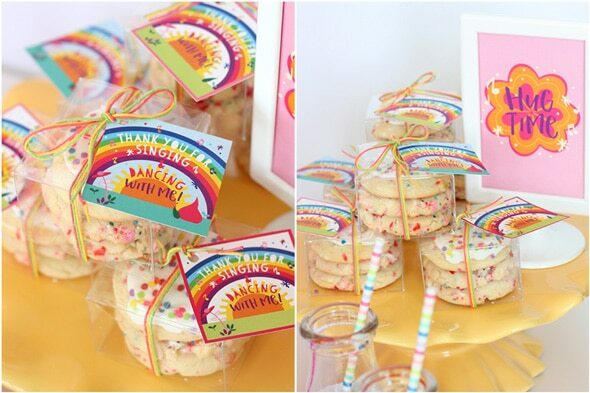 There also were sprinkle sugar cookies in clear boxes as a thank-you to all of the party guests, as well. 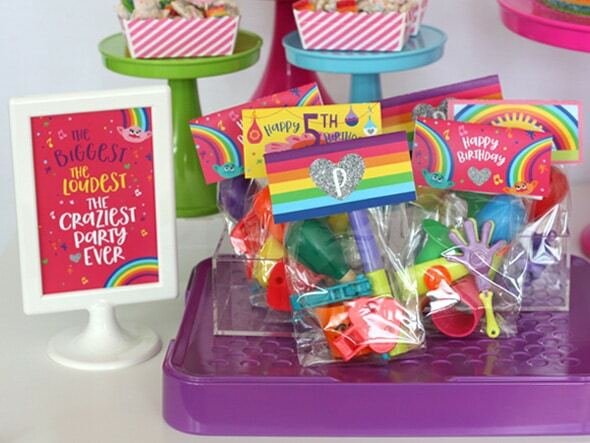 We just love all of the colorful printables at this party! They all look fabulous! 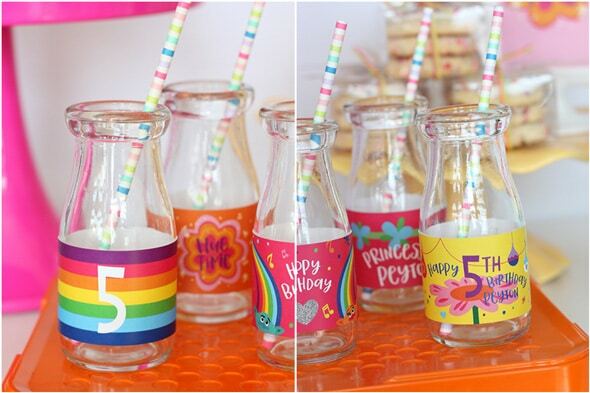 Drink containers were left empty, as there were a couple of options to choose from, but we love the wraps that are around the little milk bottles. So cute! 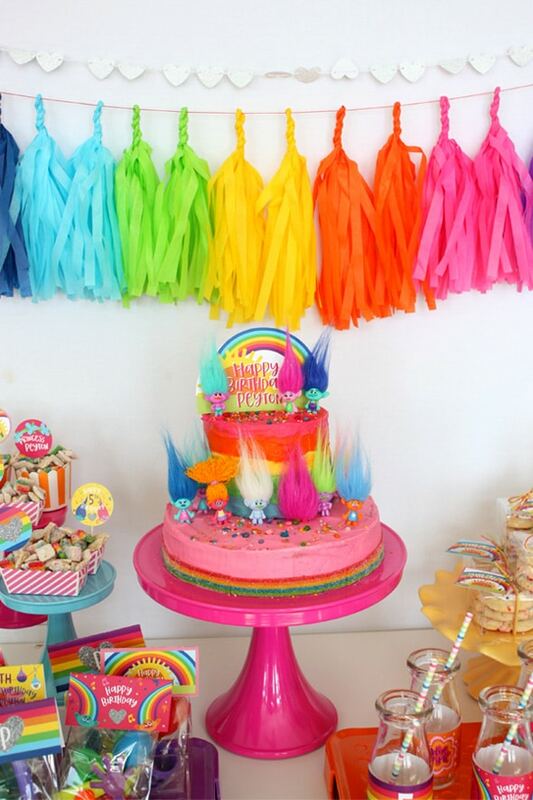 If your little one is asking for a Trolls Themed Birthday Party, there are so many creative things you can do with this theme! 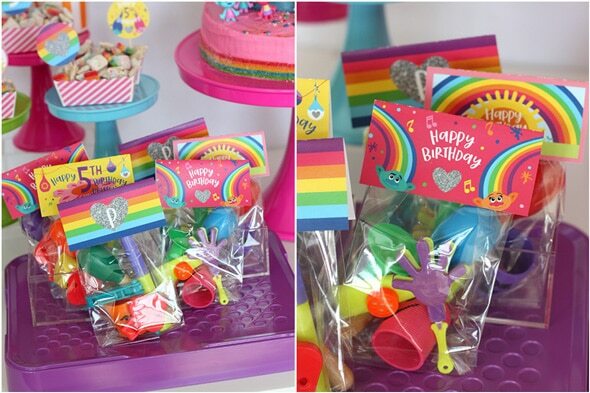 Talk about an explosion of color, senses, but most of all … FUN!